May | 2015 | Mediascope, Inc.
Outsourcing order fulfillment has many advantages. Here are just a few to consider when looking at considering whether to keep fulfillment in-house or to outsource it. Unless you own a fulfillment company, fulfillment isn’t your primary function. By outsourcing fulfillment, you gain time to spend on primary functions such as sales, marketing, supply chain, and innovation. Let the experts deal with storage, shipping, software, and other fulfillment-related requirements. There are financial advantages to outsourcing fulfillment. The costs of setting up a warehouse, staffing, managing, securing, and developing technological solutions is daunting. Start-up companies may not have adequate storage facilities or the funds to build them. Fulfillment companies typically have thousands of square feet of warehouse space. 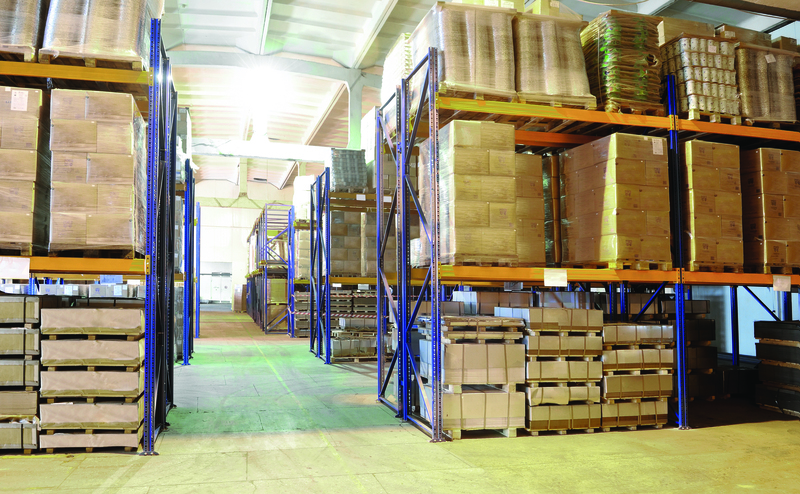 Companies that warehouse their own inventory have additional expenses, too, such as staff and utilities. A fulfillment company distributes this expense through storage fees to multiple clients which results in a storage fee that is less than an individual company would pay to do it in-house. Unless a producer ships thousands of items per month, they don’t get the beneficial “bulk” shipping rates available to many fulfillment companies. The price these companies pay often deviate from standard shipping prices by 30% or more. In some companies, the savings associated with shipping bulk rates provided by fulfillment companies can outweigh the charges of the fulfillment company itself. You may also be able to negotiate a flat-rate for shipping—a single fee based on weight and service, as opposed to weight, service, and destination. This makes shipping expenses predictable, which makes budgeting easier. Similar in concept to the savings associated with shipping costs, shipping materials bought in bulk also are purchased at more favorable rates. When compared to the cost of purchasing supplies for shipping through retail outlets, savings can amount to 50%. Of course, this depends on the fulfillment company. Often, fulfillment companies include the packaging fee in the cost of shipping, or per order. This is how fulfillment providers can quote “free packaging.” Most order fulfillment service providers make a list of standard cartons available to their clients. A company whose product doesn’t fit one these packages may need to provide their own packaging or pay an additional fee. There are many hidden aspects to running an e-commerce business. Don’t forget to look at these services when making your decision. Fulfillment houses develop intelligent e-commerce systems to help manage the many elements within the business. The e-commerce system is adaptable and may be able to integrate into clients’ ordering system. Some fulfillment houses may even host commerce sites themselves. The software also enables integration into respective couriers’ systems to provide clients with live information about package deliveries. As you can see, fulfillment isn’t for the faint-of heart. Why not let the experts take care of this for you while you focus on growing your business? Near-Field Communication (NFC) — What’s in it for me? Have you ever wondered what makes tap-and-go payment services like Apple Pay and Google Wallet work? Although it seems somewhat magical, it’s really just a method of wireless data transfer that detects and enables technology in devices near each other to communicate without the need for an internet connection. Called Near-Field Communication (NFC), it is a new technology that is not yet available in all electronic devices, but is likely to replace QR codes and other forms of technology down the line. NFC technology uses a tiny microchip to send a signal directly to your mobile device. The technology involved is relatively simple. It evolved from radio frequency identification (RFID) technology, and the NFC chip operates as one part of a wireless link. Once it’s activated by another chip, small amounts of data transfer between the two devices. NFC is easy and power efficient. No pairing code is necessary to link up and because it uses chips that run on very low amounts of power, it’s much more power-efficient than other wireless communication types. How can I use NFC? At its simplest, NFC identifies us by our enabled credit cards and devices (and by extension, our bank accounts and other personal info). That said, NFC chips inside credit cards for contactless payments is nothing new but a more recent, and admittedly more enticing, use for NFC is with your smartphone or other electronic device that can digitize your entire wallet. Virtually every mobile OS maker has its own apps that offer unique NFC functionality. Android users have the widest variety to choose from. United States users can nab Google Wallet, which accesses funds for contactless payments. Samsung Pay, which operates similarly, is on the way for Samsung phone users in the U.S. and Korea this summer. Apple’s iPhone 6 and iPhone 6 Plus received NFC functionality, albeit with limited use so far, only for Apple Pay. Lastly, those who prefer Microsoft’s Windows Phone will be able to use Microsoft Payments when it is released. Looking toward the future, it’s possible that NFC chips could be used to replace every card in your wallet. That means the unique info on your frequent shopper loyalty cards, library card, business cards, etc. could be contained and transmitted simply via NFC. Information stored on your phone—including photos, videos, documents, music, and personal contact information—can also be transferred easily using NFC-based apps such as Android’s FileBeam. Using Beam, you will no longer need to manually enter another person’s contact information. Here, by tapping two NFC-enabled smartphones together, you can exchange digital data with anyone. Beam allows you to use NFC to exchange data not only with Android devices but also with devices running other operating systems. NFC enables you to automatically connect your phone to NFC-enabled Bluetooth speakers so that you can play music from your phone simply by tapping your phone to it. You can also tap and connect your NFC-capable smartphone to a hub that plugs into your home audio system. 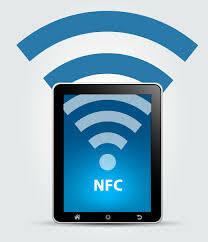 Many people are likely to find user-programmable plastic or paper NFC tags to be NFC’s most useful application. The tags can contain either information (such as your business card info) or instructions to perform actions (launching apps, changing your ringtone, setting alarms, turning GPS on or off, etc.) and even action sequences. When you tap your phone against one of the tags, the actions are carried out on your phone.The tags are small, inexpensive, and can be carried on your keychain. One convenient use for an information-only tag is storing the access information for your home or business Wi-Fi network to make it easy for others to join. Stick the tag on a wall or some other convenient spot, and a visitor with an app like WifiTap can touch the tag with their NFC-enabled phone and automatically connect to your network. To summarize, while NFC’s uses will certainly expand in the future, it can currently be used with apps like FileBeam for information transfer. It can also, with just a bit more effort, save you lots of time and energy by automating repetitive tasks. 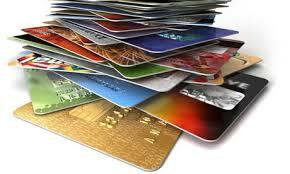 Too many credit cards in your wallet or purse? Have you seen the new cards capable of carrying information for several cards including credit, debit, gift and loyalty cards? One single-card payment systems is Plastc. This version uses an included card reader to load account information onto a phone app and sync it with the card. The card itself is a touchscreen which allows you to swipe the mini screen with your finger to switch between dozen of cards and choose which one to pay with. A second version is Wocket, a wallet-size device that digitally stores cards via a scanner (no app needed). Wocket encrypts data so if it unusable if intercepted. It unlocks only by using your voice or a PIN. If loyalty cards are responsible for your full wallet, lighten the load by scanning the cards into your smartphone with Cardstar, a free app for Android, Apple and Windows. When you check out, scan the bar code on your phone’s screen. Use it for gym and library memberships, too. Overstuffed wallets may soon be a thing of the past. Currently, the Plastc and Wocket cards run about $150 but prices may drop as other brands hit the market.